Brútus is a handsome, friendly and tall gelding. He is very safe to ride and easy to handle. All gaits are well separated. 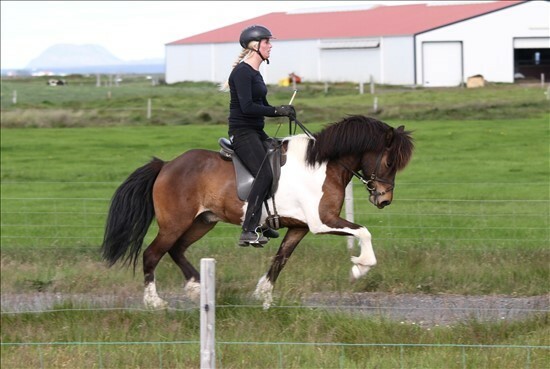 His tölt is clear beated, trot is good with good suspension, good walk and canter. 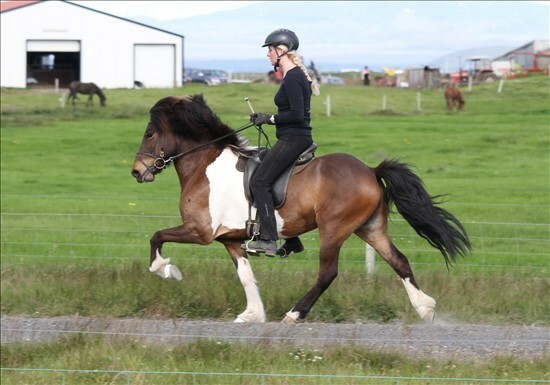 His pace is clear and it is very easy to ride. 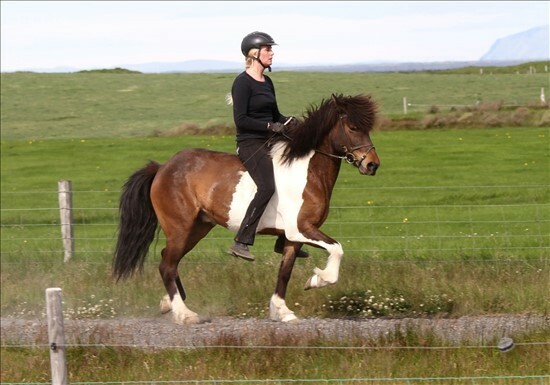 Brútus is well trained and knows the basic in dressage, he is easy to form and it is fun to work with him inside a paddock or a ridinghall. 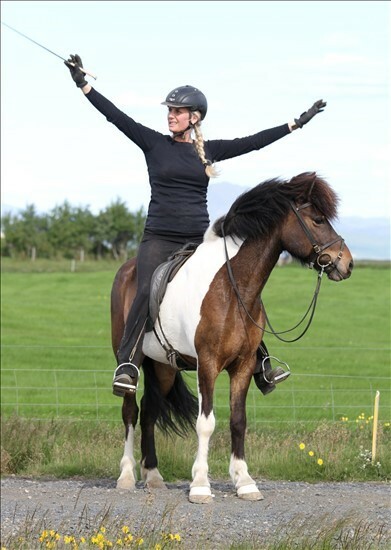 Brútus is for all riders with a little experience. He would be very good pleasure riding horse but also suitable for 5-gait competitions because off his equally good gaits and easy pace. Þægur og traustur fimmgangari. Góður reiðhestur sem hentar flestum.